Welcoming the re-openingnya on Saturday (28 / 8), the famous Levi's clothing store located in Mega Mall Batam Centre offers attractive promotions such as discounts up to 50 percent. According to Peter, Area Manager for Levi's Batam, promo discounts are valid until 10 September. A number of products offered at discount prices including jeans man who would sell 30 percent discount for selected items. Then there is also a 50 percent discount for products and superior women jeans men and women. "Tomorrow, Saturday (28 / 8), we will officially move into the new store. It's still on the Ground Floor Mega Mall is also but more towards the inside. And during the re-opening that we give the promo interesting for lovers of the brand Levi's,'' Peter said, Thursday (26 / 8) when found in the old shop, located next to the East entrance Mega Mall Batam Center. This store is moving locations to expand the store so that they can develop more freely design his shop. "Stores that it's small. If the new store will space them larger. So that we could design more freely. Shop new will be designed with international standards. 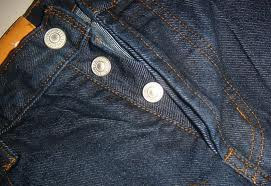 So the design was the same with stores Levi's in the whole world," he said. He said that with the new store design which will, hopefully visitors will feel more comfortable when shopping. And with more space in the arrangements expected to more adequately display their products. In addition, said Peter, re-opening the store is also used to introduce the latest product Levi's 502 jeans.